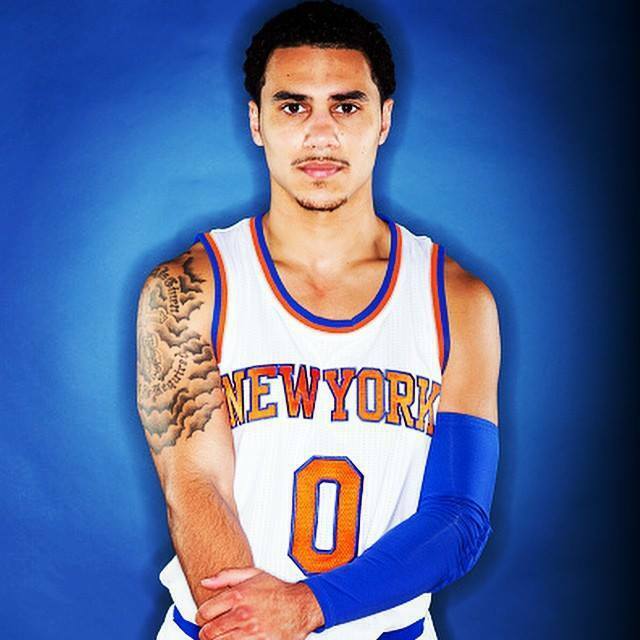 For former Miami Hurricanes point guard Shane Larkin, it was quite the homecoming. Larkin, a 2013 third team All-American, spent Sunday night’s Canes basketball game against Clemson court side, as UM honored his return with a Shane Larkin bobblehead night, giving out 4,000 to fans. Larkin, who opened the season as the starting point guard for the Knicks due to José Calderón’s injury, has seen his opportunities and production increase this year after a season with the Mavericks. Last year in Dallas, Shane averaged 10 minutes per game and 2.8 points per game; this year, 22 MPG and 5.4 PPG. Hurricanes basketball coach Jim Larrañaga was also in attendance Monday at the Heat game, and Shane noted how Coach L still maintains a relationship with his former point guard. Larkin also talked about how Angel Rodriguez’s role is different than when he was still at The U.
Larkin scored three points on 1-5 shooting in the loss to the Knicks, but ran the floor well, notching four assists and just one turnover in 26 minutes of play. He’s been in double figures four times this year, with a season-high 14 points at Sacramento late in December.